Limited Collection Editioned prints & multiples by leading Australian artists LIMITED Contemporary Editions is a Sydney based print studio presenting exceptional quality, archival limited edition reproduction prints from a collection of Australiaâ&#x20AC;&#x2122;s most celebrated artists including John Olsen, Stephen Ormandy, Matthew Johnson, Alan Jones and Julian Meagher. We are also continuously working with new artists to present a dynamic selection of contemporary artworks. LIMITED Contemporary Editions works directly with artists to accurately colour match every fine art rendition, bringing the imagery of our most celebrated artists to the public in multiple form. Each artwork image is reproduced on the finest HahnemĂźhle archival etching paper using the highest quality, fade-resistant pigmented inks. Each print is hand signed and editioned by the artist to validate and authenticate the print. 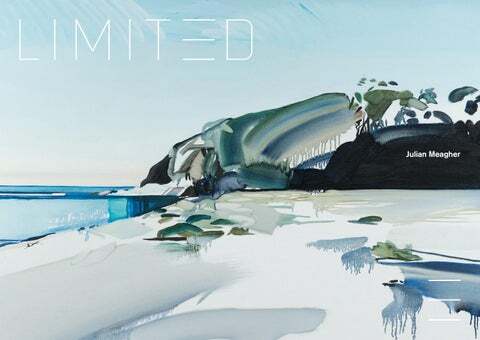 All works featured in this catalogue are copyright the artist, Julian Meagher. Julian Meagher Julian Meagher is a 37 year old Sydney based artist who ten years ago left work as a medical doctor to pursue painting full time. He studied the Atelier method of painting in Florence, Italy. Since then he has exhibited widely across Australia and Internationally. He recently had a sell out show at the Australian High Commission in Singapore. For the last seven years he has also been a director of Chalk Horse Gallery, known for its support of emerging contemporary artists and international programming. In 2009 and 2012 he was the recipient of the New Work Grant from the Australia Council of the Arts He has been a finalist multiple times in the Doug Moran Portrait Prize, Salon des Refuses, Metro Art Prize, Blake Prize for Religious Art, RBS Emerging Artist Prize and was a finalist in the 2014 Archibald Prize, Art Gallery of NSW. He has exhibited at the Melbourne International Art Fair in 2010 and 2012, Shanghai Contemporary Art Fair in 2010, Scope Miami in 2011 and 2012 and at Sydney Contemporary 2013. 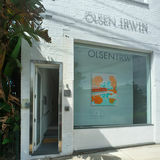 Julian Meagher is represented by OLSEN Gallery, Sydney.